Having rich experience of serving enormous traveler guests from diverse countries and regions in the world and being managed with especially high standards, all Yangtze River cruise ships are equipped with a lot of excellent facilities, which is to benefit your life on board the cruise and make everything as convenient as in your daily life. You can check the room amenities and public facilities for your entertainment, dining enjoyment, body releasing, and so on to imagine in advance your upcoming wonderful and convenient trip on the Yangtze River in China. Yangtze River cruise ships prepare every cabin and suite with a series of room facilities of high standard for the needs of every guest on the ship. From your personal cleansing, sleeping, to relaxing, simple laundry, etc., every step is well done to make you feel stay in a luxury hotel. And the better Yangtze ship your book, the more and better room facilities are provided in there for your enjoyment. See the detail basic guest room amenities as below for your reference. If you can’t find the amenities mentioned in the above table in your room, please ask the reception desk for help. Private Balcony: nearly all Yangtze River cruise ships provide private balcony in the cabins and suite on board, however, the “Cabin without Balcony” on Yangtze Gold Cruises do not offer the private balcony for guests. Bathtub: the bathtub is prepared for guests booking all cabins and suites on Century Paragon and Century Legend, all cabins and suites on Victoria Jenna, Victoria Anna, Victoria Katarina, Victoria Selina, Victoria Lianna and Victoria Sophia, the Shangri-la Suites on Victoria Grace, suites on President Prime 6 and suites on Yangtze Gold cruises. 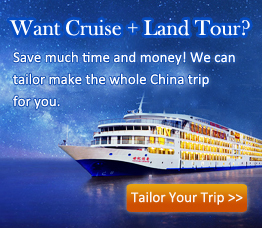 Note: room facilities may be provided different according to various room types of each Yangtze River cruise company. Usually, rooms of higher levels offer more and better facilities, so if you would like to enjoy more room amenities, you can contact our Travel Consultant to book your ideal room type on your ideal cruise ship as early as better. In the public area, Yangtze River cruise companies arranged a rich number of outstanding facilities, so you would have no single minute feeling bored but enjoy in the happiness, leisure and benefits created by the facilities during your cruise holiday. For your dining and drinking enjoyment, mental and physical relaxation, hours for fun, etc. on board, the dining hall, bar, SPA & massage center, sauna area, fitness center, the main hall, reception desk, dancing hall, reading room, recreation hall, indoor sightseeing lounge, chess & cards rooms, souvenir shops, cigar bar, photography center, and so on are well prepared with great services for all guests. Moreover, on some other ships, you may enjoy more public facilities, such as, VIP restaurants, café, internet bars, business centers, meeting rooms, theater, karaoke rooms, billiard parlor, game centers, gold courses, beauty & hair salons, and so forth, according to the sizes and layouts of the cruise ships you choose. Compared to other Yangtze River cruises, Victoria Jenna and Yangtze Gold 1 cruises have 4 sightseeing elevators on board, so it is very convenient for travelers to go to other decks of the ship, particularly great for people staying on the lower decks to go up to the sun deck. Guests booking ships of Century Paragon, Century Legend, Victoria Anna, Victoria Jenna, Victoria Katarina, Victoria Lianna, Victoria Selina, President No. 7, President No. 8, President Prime 6, Yangtze 1, Yangtze 2, Yangtze Explorer, and all Yangtze Gold cruises can have another choice to dine at the VIP restaurant to enjoy the relative private and quiet environment on the cruise. And usually people booking rooms of executive level and above can enjoy this special dining service for free. For details of VIP restaurant on your ideal ship, please contact our Travel Consultant. Century Paragon, Century Legend, Victoria Jenna, President No. 7, President No. 8, Yangtze Explorer, Yangtze 2, and all Yangtze Gold cruises have theater on board. And the cruise cinema on Century Paragon and Century Legend is designed really spacious to hold up to 150 guests at one time, which is rare and outstanding among all Yangtze River cruise ships. Since this multi-functional HD movie theater can also be used for an international simultaneous interpretation conference, travellers can experience the professional facilities and techniques of high standards while having fun there. Century Paragon, Century Legend, President No. 7, President No. 8, Yangtze Gold 2, Yangtze Gold 3, Yangtze Gold 5, Yangtze Gold 6, Yangtze Gold 7, and Yangtze Gold 8. On the top of the Yangtze River cruise ships at below, a golf course is prepared for you to swing the club.